Associate Professor Susan Neuhaus has completed an Army career spanning over 20 years, working with both the Regular Army and the Reserve. She has served in a number of roles; as a staff officer, commander and clinician. Her operational experience includes deployments in Cambodia, Bougainville and Afghanistan. She was promoted to Colonel in 2008. Her military service was recognised with the Conspicuous Service Cross in the 2009 Queen’s Birthday Honours’ List. Associate Professor Neuhaus remains actively involved in Veterans health issues and holds a number of advisory and Board roles. She has a strong interest in the strategic implications of operational health care and is widely published on issues of strategic and Defence health. Associate Professor Neuhaus has completed a PhD in laparoscopic tumour surgery, holds a Fellowship of the Royal Australasian College of Surgeons in General Surgery and is appointed to the Court of Examiners. 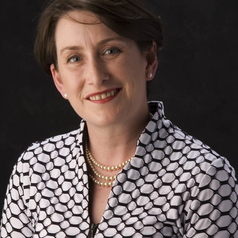 She is appointed as Clinical Associate Professor to the Department of Surgery, University of Adelaide, and is actively engaged in teaching and research. She has published widely, served as a reviewer and editor and written multiple book chapters, journal articles and a book ‘Radiology in Surgical Practice’. Adaptive Campaigning – Implications for Operational Health Support, Australian Army Journal 2008;5(3).